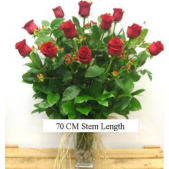 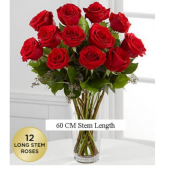 Classic 40- 60- 70 CM Red Roses are perfect to express ones love for Valentines Day, Anniversaries or Birthdays. 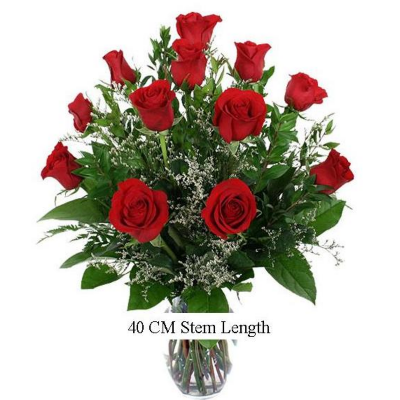 Average stem length for 40 CM is 16-19 inches; 50 CM is 20-25 inches; and 70 CM is 25-30 inches. 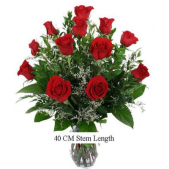 Please note that all measurements are estimates as mother nature has a way of doing her own thing!